Shetland Sheepdogs are a playful, energetic breed of dog with a very distinct coat. They are also commonly referred to as Shelties. Their coat is long and thick, and is one of the more unique and distinct-looking breeds out there. On AKC’s Breed Popularity scale, they rank 24 out of 194. Besides having a very attractive, recognizable coat, they are also known for being intelligent, speedy, and obedient. Now that you have a bit of background knowledge about Shelties, we’re ready to dive into our guide to the best dog food for Shetland Sheepdogs and all the essential information that you need to feed your dog well and keep them healthy. This dry dog food is made by Orijen and is considered one of the best dry dog foods on the market. It is grain-free and is a plant-based food with meat included as some of the first ingredients. It has above-average protein, above-average fat, and below-average carbs. It is a natural food designed to keep your dog healthy, happy, and strong. The meats included in the food are angus beef, Yorkshire pork, and Suffolk lamb. This food comes highly recommended by the dog owner’s community and though it is priced high, the quality excellent, delivering good value overall. This grain-free, dry food can be used for all life stages. It is an excellent source of protein and nutrition. The first five ingredients are duck meal (great protein source), peas (for protein), potato (carbohydrates), pea flour (more protein), and pork meat meal (even more protein). Though this food contains a moderate amount of meat, the meat that it does include is quality, fresh, and natural. It is a plant-based dry food with good meat sources included. This product is made in the USA. This dog food has a reputation for being loved by Shelties. The first five ingredients are chicken meal, brown rice, sorghum, chicken fat, and rolled oats. It has a moderate amount of meat and is full of nutrition and quality ingredients. It has below-average carbohydrate content and average protein/fat content. The Annamaet Ultra 32 formula is one of the best dog foods out there for puppies. The mix of ingredients make it a perfect source of nutrition for puppies in their early stages. It’s especially important to ensure they get the nutrients in their early life because it can set them up for a lifetime of health. This food is corn and wheat free, naturally preserved, and contains an excellent source of Omega 3 fatty acids. The DHA supports brain development and healthy cognitive function. Annamaet is a reputable dog food company that produces an entire line of high quality foods. You can rest assured that you’re dealing with a quality brand. This dog food always features real meat as the 1st ingredient and Blue Buffalo has an impeccable reputation for creating healthy and natural food. It contains high-quality protein from deboned chicken, chicken meal, eggs, whole grains, garden veggies, and fruit. DHA and ARA fatty acids are found in this food help support healthy development for your young puppy. This is a natural dog food that is enhanced with vitamins and minerals and contains Blue Buffalo’s exclusive LifeSource Bits – a precise blend of antioxidants, vitamins and minerals. This food is endorsed by hundreds of animal nutritionists and veterinarians. This food contains non-chicken byproduct, no corn, no wheat, and no soy. It also doesn’t have artificial flavors or preservatives. Nutro makes an excellent dry dog food for senior dogs, including Shelties! It has farm-raised chicken, brown rice, and sweet potato. Farm-raised chicken is the first ingredient, and it’s a great source of protein. 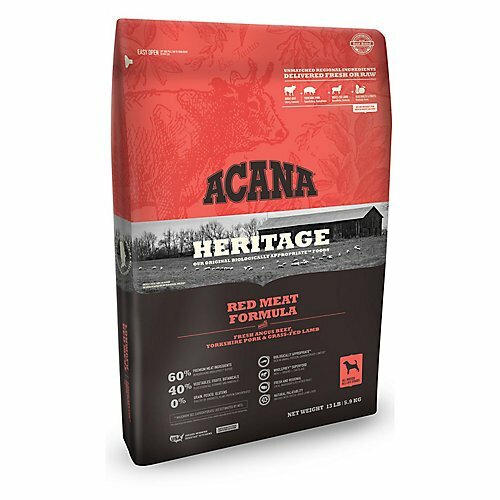 This dog food is designed to maintain cognitive health and contains essential antioxidants to support an aging dog’s immune system. It’s also a great source of Omega 3 & 6 fatty acids to promote healthy skin and a soft, shiny coat. It’s made with non-GMO ingredients. If your Shetland Sheepdog is overweight, the first step is to change their diet. You’ve either been overfeeding them or feeding them a food that is not good for them. The Annamaet Grain Free Lean Dry Dog Food is one of the best options out there and contains a very low fat content. It’s made in the USA, is grain-free, and contains chicken, duck, and herring. With this food, you can feed your dog just as you would with normal food on a regular basis. The only difference is that this food is better for your friend! Your dog may be limited in dog food choice because of skin sensitivities. If this is the case, Hill’s Science Diet is a great option for your Sheltie. It is a natural dog food that won’t irritate the skin. It is made with high-quality, easy-to-digest ingredients. The Science Diet contains Omega 6 fatty acids and other nutrients that promote healthy skin and a glossy coat. It has a clinically proven blend of antioxidants with vitamins C and E that helps support your dog’s immune system. Hill’s is a very reputable dog food company with a track record of producing effective medicinal foods. Just purchasing the best dog food for shelties is not enough; you must know what the dog food contains, and how to feed your sheltie dog properly. When you’re shopping for dog foods for Shelties, there’s a few ingredients that you should be looking to include in whatever food you purchase. Beef, lamb, or poultry meal is good quality ground meat that you should look for near the top of the ingredients list. You should also be looking for Vitamin E, Vitamin C, and Tocopherals, which are natural preservatives that help retain fats in dog food. Minerals that can easily be absorbed by the intestinal tract and bloodstream are also great things to look for in dog foods for your Sheltie. Meat and bone meal – this includes roadkill and euthanized animals. Meat by-products – this can include any part of a slaughterhouse animal that is not deemed fit for human consumption. Propylene Glycol – A synthetic preservative used to keep kibble moist. Vets have identified this ingredient as something that causes red blood cell damage. Ethoxyquin – another dangerous chemical that is banned from human food. Causes cancer. BHA & BHT – known to cause liver and kidney damage and bladder or stomach cancer. No matter how far they are down on the list, you shouldn’t buy dog food with any of these ingredients. You should feed your Sheltie twice a day, but the amount is up to you. You’ll have to see how your dog reacts, as you don’t want to overfeed or underfeed them. Most medium breeds will take ¾ cup of dog food twice a day, but that’s a very general amount. If your dog seems to be overeating and gains weight, you should consult with a vet to see what amount is more suitable to feed your Sheltie. How much you feed your Shetland Sheepdog will also depend on how much exercise they get. You need to find a good balance that works for your dog. If you can’t easily feel their ribs on the side, chances are they are overweight and you’ll need to make a plan to reduce their food. You should be cautious of the amounts that dog food manufacturers put on the bags, since they have a tendency to tell you a higher amount than is actually needed. Weight Gain – You should avoid overfeeding your Shetland Sheepdog. Patellar Luxation – Can be caused by an injury or birth defect. May need surgery. Hip Dysplasia – Mostly genetic in smaller breeds. Several treatment options like more exercise and less food. Dermatomyositis – This is a common problem in Shelties and is usually genetic. This may require medication or switching foods. Scleral Ectasia – A birth defect for which there is no treatment. Causes impaired vision. Vol Willebrande’s Disease – A genetic disease that causes excessive bleeding and can be fatal. There is no cure, but it can be treated. You should be on the lookout for all of these as your Sheltie ages, and if any symptoms arise you should consult your vet immediately. All of these are common among Shelties, so being prepared is the best thing you can do for now. Sheltie’s are a herder breed, and originate from the Shetland Islands located in Scotland. You might notice that Sheltie’s look a lot like Collies. This is in fact because they are cousins. The main difference is that Collies are a bit bigger than Shelties. Shelties are small and active, but have the big personality needed to be an agile herding dog. Their coat is thick, long, and straight. It varies in color between black, blue merle, sable, and white. They look comparable to Collie’s but smaller and with a rougher coat. They’re also really great family dogs because they are sensitive and affectionate. Shelties are also very conscientious of their surroundings, which makes them great candidates to be integrated into a family environment. They are one of the easier breeds to train and they love to please their owners. Because of how easy they are to train, they are known for their competition-prowess. They’re a very popular dog to bring to shows and other competitions, and do quite well at them. They also bring a valuable watchdog element to a home, since they are cautious of strangers and like to bark. We’re happy to have built the complete guide to choosing the best dog food for shetland sheepdogs to you and hope that you now know what to do and what not to do with your Sheltie. Shelties are a precious breed and deserve the absolute best care. This guide will help you navigate the world of Shelties and care for your friend as best as possible.